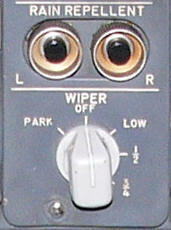 See Instrument Probes page for explanation. 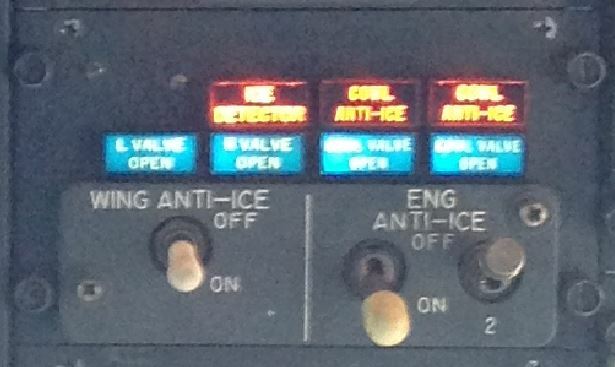 The MAX engine anti-ice panel has a new amber caption ENGINE ANTI-ICE. 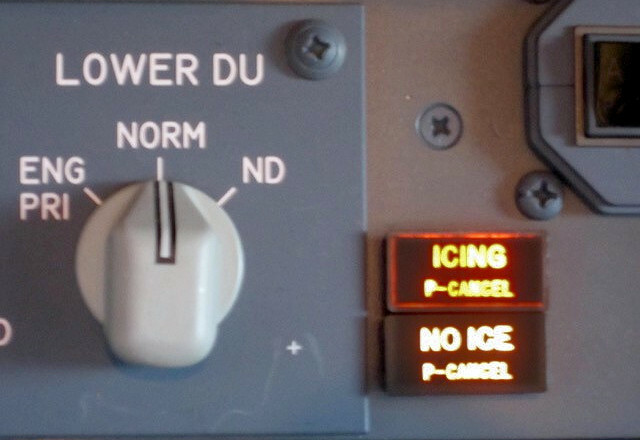 When illuminated this indicates that the engine cowl thermal anti-ice system has been inhibited due to a system failure or when an engine core anti-ice valve fails closed. 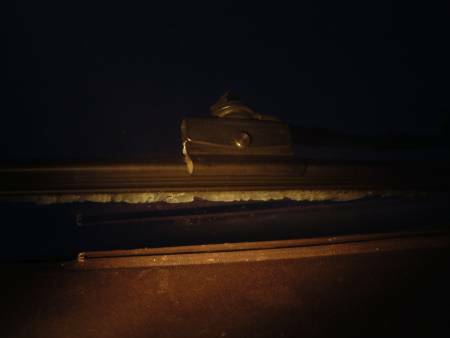 The ice detection system is available as an option on Classics and NGs. 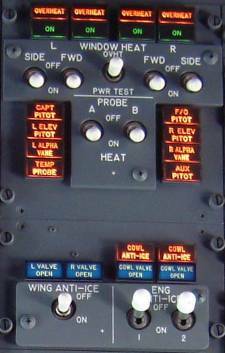 Aircraft with this option have an extra probe on the lower left fuselage dedicated to ice detection. 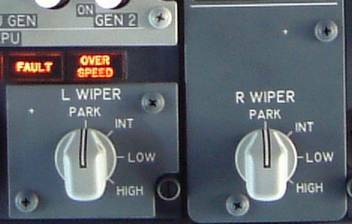 There are two advisory lights on the left forward panel. 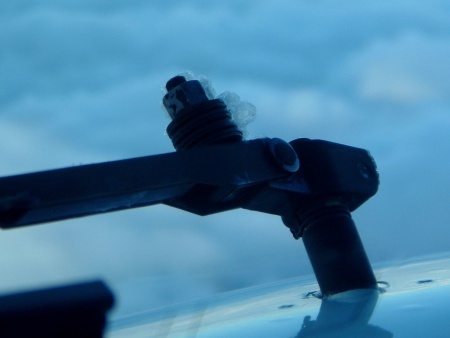 When the probe senses ice build-up in flight, the ICING light illuminates. 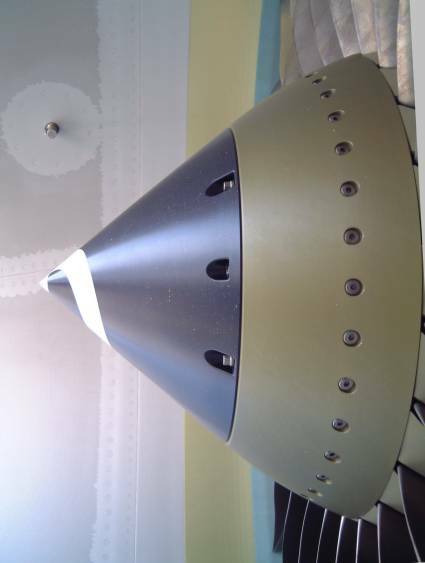 When ice has previously detected and the probe is no longer detecting ice, the ICING light will extinguish and the NO ICE light will illuminate. Unfortunately, this NO ICE light needs to be pushed to cancel which can be annoying. Personally I think that the system should just have had the ICING light which illuminates when in icing. 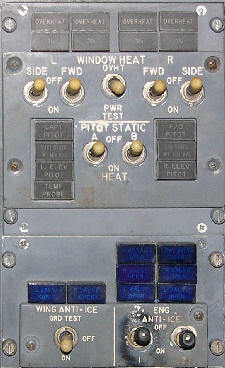 There is also an ICE DETECTOR light, on the anti-ice panel which will illuminate when the ice detection system fails. 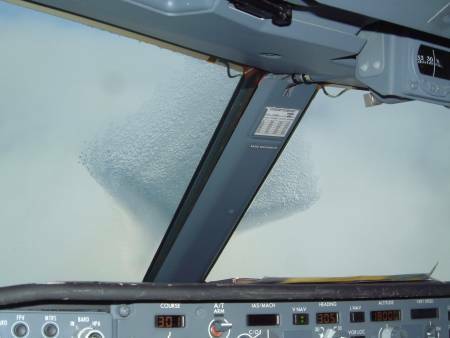 The weight and aerodynamic effect of all this ice on the the airframe and control surfaces is why there is the "residual ice" penalty of several tons on the landing performance graphs "If operating in icing conditions during any part of the flight when the forecast landing temperature is below 8C, reduce the normal climb limited landing weight by xxxxkg." (Ref FPPM). HUNTSVILLE, Ala., Aug. 13, 2009 – PPG Industries’ (NYSE:PPG) aerospace transparencies business has been awarded a contract by Spirit AeroSystems to redesign the laminated glass windshields for Boeing’s Next-Generation 737 airplanes. 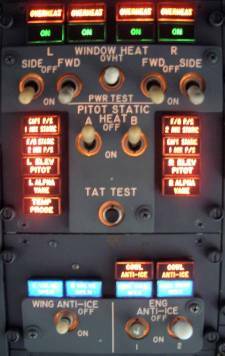 The windshields are being redesigned at Boeing’s request to accommodate airframe improvements. 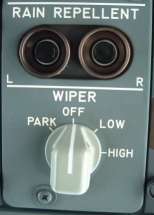 To meet Boeing specifications, the redesigned windshields will be slightly smaller than the current versions and include an inboard plastic antispall liner to prevent broken glass from entering the flight deck during a bird-strike event, according to Art Scott, PPG Aerospace global sales director for commercial original-equipment transparencies. 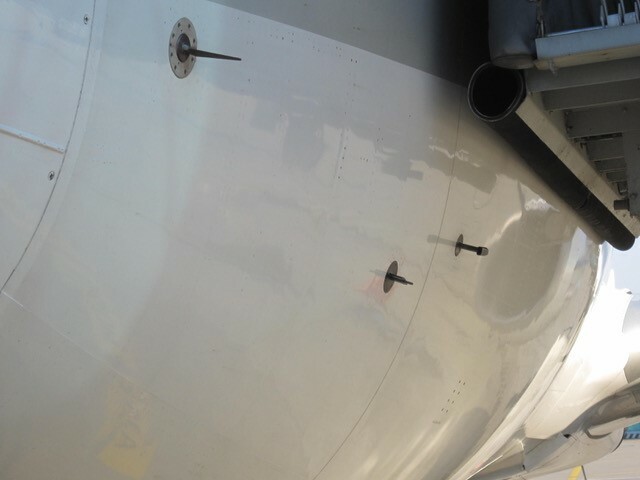 “Boeing has asked for an alternate approach to bird-strike performance for the windshields that works structurally with the 737 airframe,” Scott said. “Adding an antispall liner to the windshields for Next-Generation 737 airplanes enables Boeing to keep the structural airframe design while incorporating newer technology.” PPG will be the sole source of the redesigned windshields for production and aftermarket applications. Scott said PPG expects certification of the new-design windshields in the second quarter 2010. 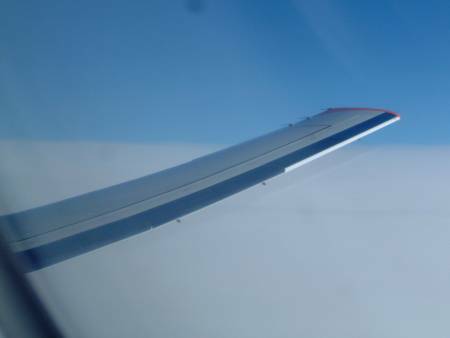 The windshields will be designed and manufactured at PPG’s Huntsville, Ala., facility for delivery to Wichita, Kan., where Spirit makes the fuselage for Boeing.